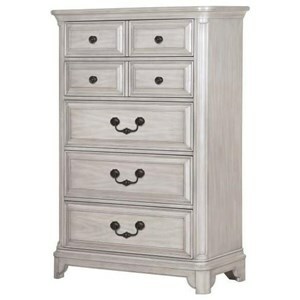 Bring cottage charm to your bedroom with this six drawer chest for clothing storage. 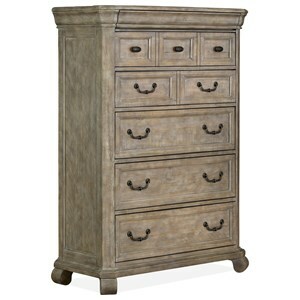 Elegant and functional, this chest features bun feet, antique handles, and a cedar-lined bottom drawer. 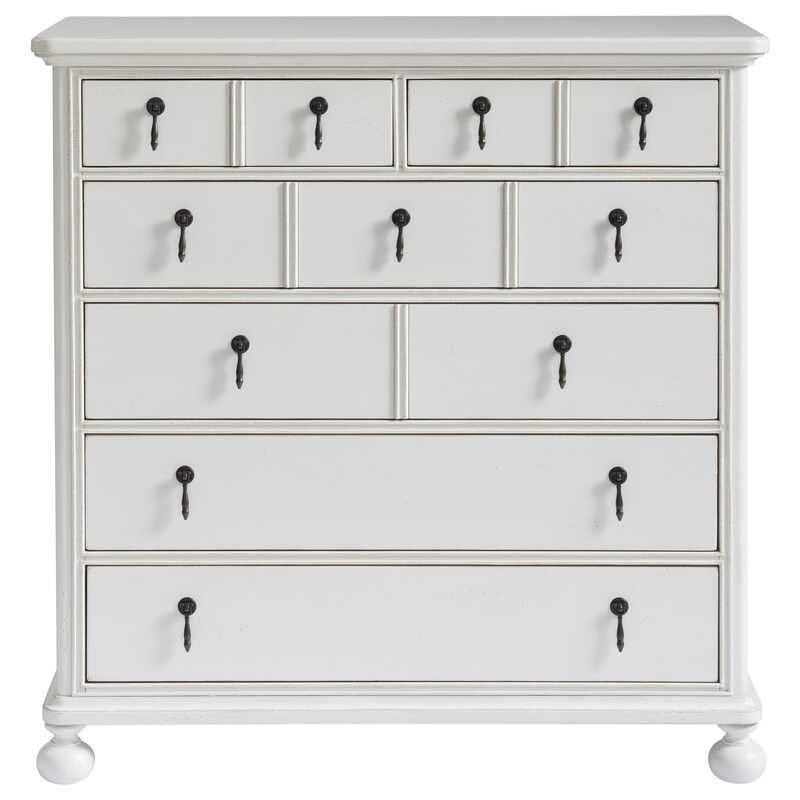 The Bungalow Cottage Six Drawer Chest with Cedar Lined Bottom Drawer by Paula Deen by Universal at Reeds Furniture in the Los Angeles, Thousand Oaks, Simi Valley, Agoura Hills, Woodland Hills, California area. Product availability may vary. Contact us for the most current availability on this product. Storage Six drawers with a cedar-lined bottom drawer.